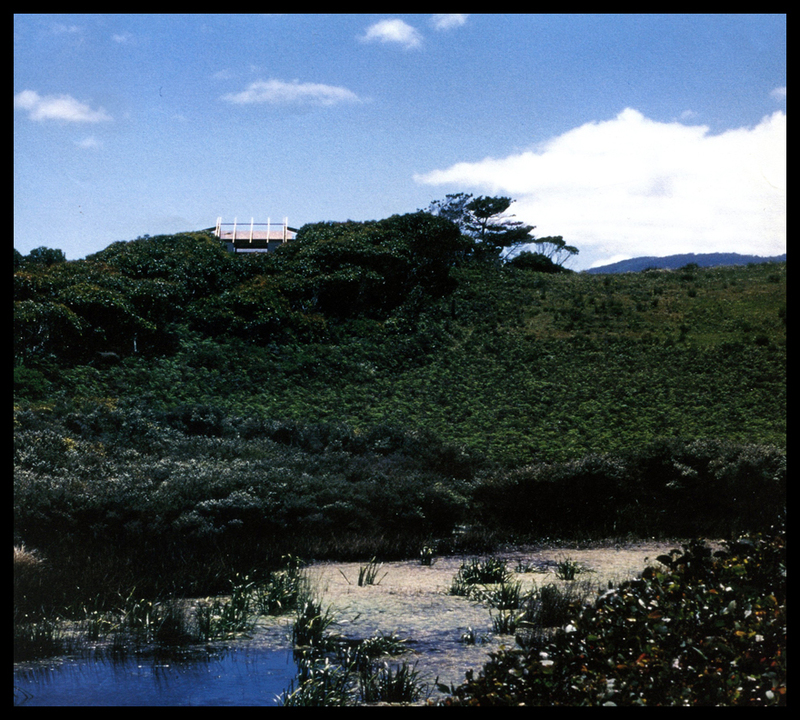 In the early 1960s, during construction of the Sydney Opera House, Jørn Utzon and his office designed and documented his own house in Bayview, 30km north of Sydney (1965, unbuilt). Utzon agonised over the extent of windows facing a particularly beautiful view. Should the wall be fully glazed or only partially? After many weeks of indecision, he summoned his staff into the bush and down onto the beach. Utzon had them sit between two large sand dunes, facing towards the water. Their entire field of view comprised the straight line of the sea and curving lines of the dunes. “Watch and wait,” they were instructed. Presently, a seagull flew into sight from behind one dune, across their view corridor, and disappeared behind the other. 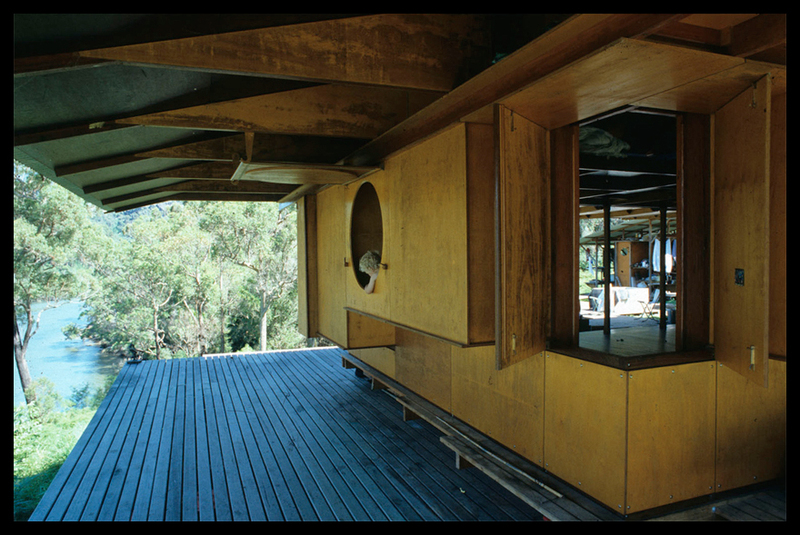 One of Australia’s most important architects, and also one of the most private, Leplastrier graduated from Sydney University in 1963 and worked with Jørn Utzon then Kenzo Tange prior to establishing his own practice in 1970. He works from his house and studio in Lovett Bay on small, intensely crafted projects. He draws by hand and builds 1:20 scale models detailed enough to be the blueprints off which his designs are built. 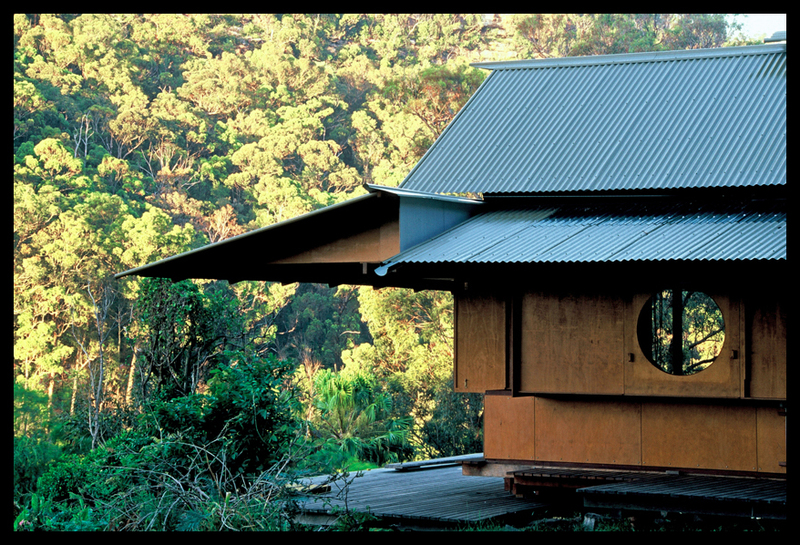 He is a national treasure who was awarded the Australian Institute of Architects Gold Medal in 1999 and made an Officer of the Order of Australia in 2011. 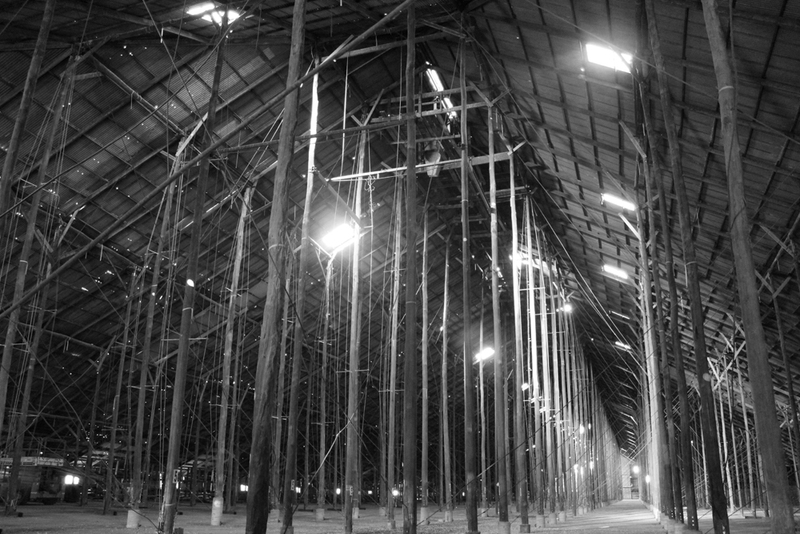 Leplastrier presented the final lecture of the Zeitgeist series at Walsh Street last week, a collaboration between the Robin Boyd Foundation and Centre for Cultural Materials Preservation. The series sought to understand the consequences of making and conserving works of architecture, and to what extent their physical fabric is a measure of design intent. I discussed the first lecture of the series, given by Brian Donovan in February, here. To wind down the last of the early evening light, Leplastrier began his talk without slides, reflecting on half a century in architecture. 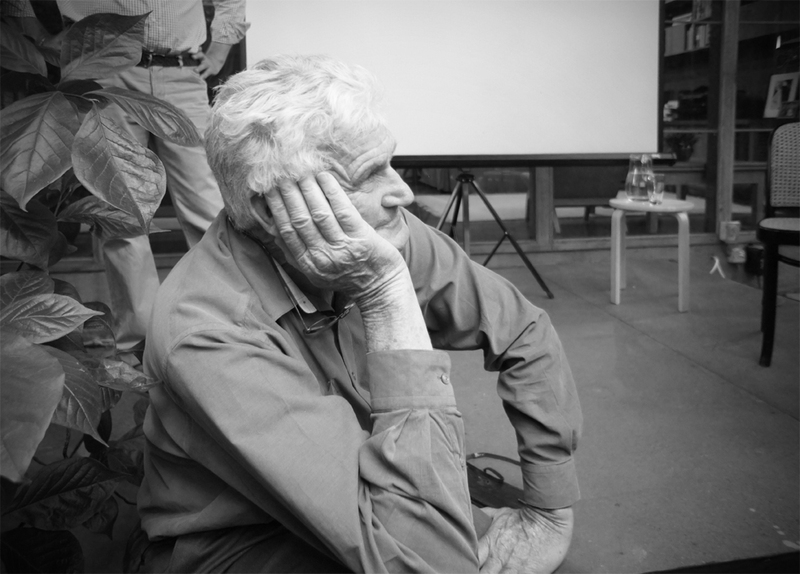 He spoke of his university years and the lasting influence of Lloyd Rees, with whom he and his fellow students drew and painted every Wednesday afternoon for five years. He spoke of his apprenticeship in Utzon’s office, still proud that he worked on the Opera House, if only for three weeks, and still disgusted that Utzon was exiled from the project and the country. He discussed his time in Japan, and life lessons learned under Tomoya Masuda, the subtlety of that culture mingling with the brashness of his own middle-class Australian upbringing. 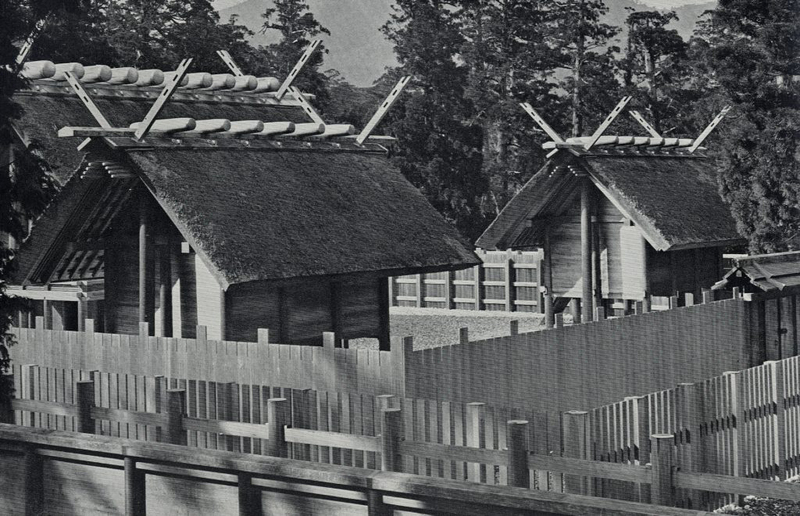 When afternoon eventually graduated to dusk, Leplastrier segued into his visual presentation, beginning with photos of the people by whom he has been most influenced: Rees, Utzon and Masuda principle among them. 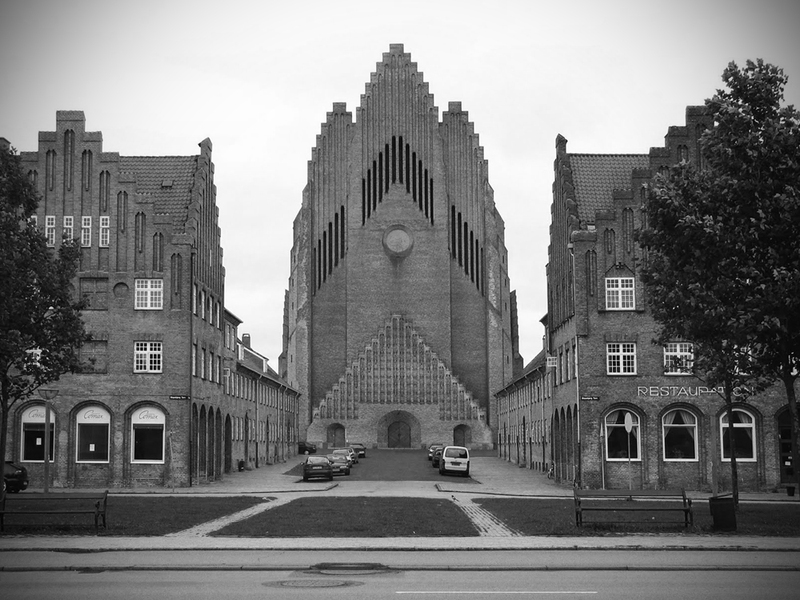 Then, a selection of slides from around the world that are to him archetypes of sustainability, beauty and cultural value: the Grundtvig Church in Copenhagen, a masterpiece in brickwork so perfect that no brick was cut in its construction; the Ise Naikū Shrine in Japan, that has been rebuilt every twenty years for almost two millennia; and the Stick Shed on the Wimmera, an enduring legacy of Australian wartime ingenuity. Leplastrier structured his presentation around four projects: his own house and studio, and three houses for private clients spanning forty years. 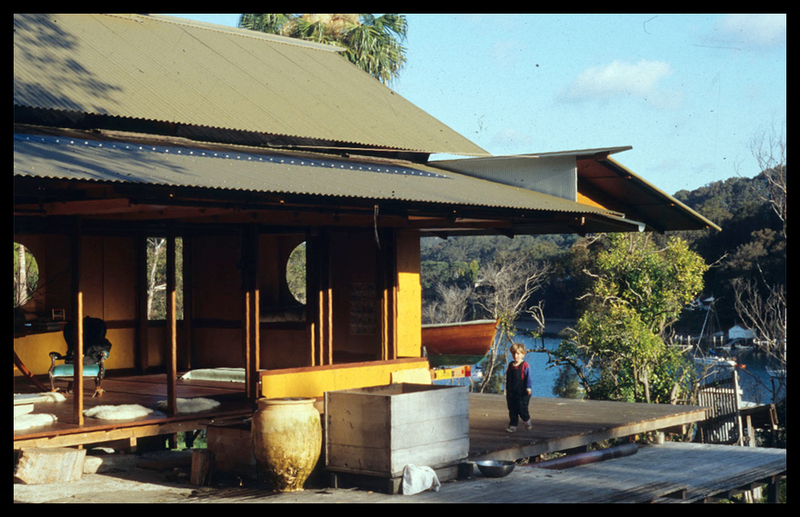 This was a fascinating way of revealing the development in his philosophy of architecture, from the intricate and expensive detailing of Palm Garden House (Sydney, 1976) through to the humble forms of Cloudy Bay Retreat (Bruny Island, 1996) and a recent cottage for an elderly couple, the name of which I have forgotten. Unlike many architects, whose budgets and design ambition expand as their reputations grow, Leplastrier seems to have achieved the reverse. His projects are simpler now, more modest, more direct in their crafting. I can only speculate, but I imagine this trajectory is reflected in his fees and the cost of his buildings also: they are made from fine materials, but they are small and assembled with a deeply efficient understanding of structure and construction. Leplastrier is not interested in architecture for the money (though as previously discussed, who amongst us are?). Instead, he works for remarkable clients with remarkable briefs on remarkable sites. They all have their own stories, cultural capital from which Leplastrier draws his inspiration. The relationships with the people around him and the land his designs touch, these are the things he cherishes. He built many of his early projects himself, Palm Garden House and Lovett Bay amongst them, though readily defers to the abilities of master craftsmen. It was clear from his slides that some of his oldest and closest friends are the builders with whom he has worked. 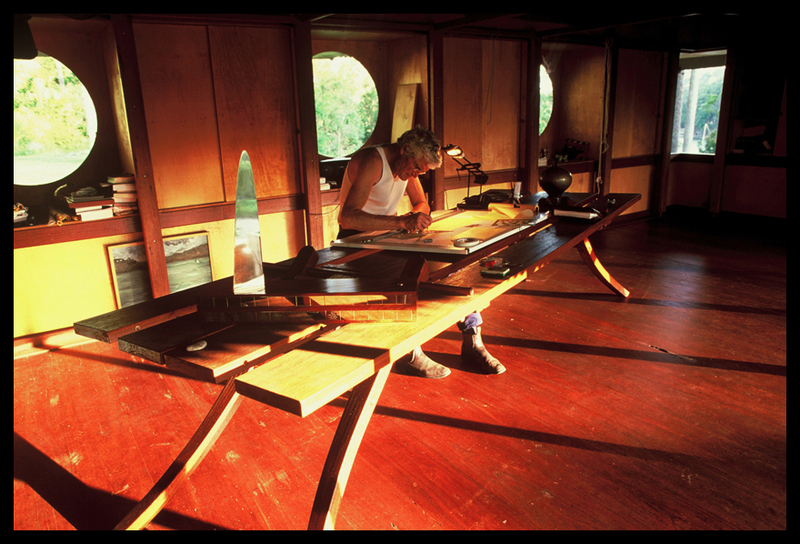 Growing up around boats, and the “great boat builders of southern Tasmania,” Leplastrier developed a lasting passion for timber. Synthetic materials, he explained, are remarkable in their own way, but no other material can match the versatility and beauty of timber. He still marvels at the diversity of this naturally-grown material, each species with its own qualities and purposes. Much in keeping with Leplastrier’s approach to architecture, he does not have a website. Printed publications of Leplastrier’s work are also scarce: there is only one that I have come across, in honour of the 2004 Spirit of Nature Wood Architecture Award, and it has been out of print for years. 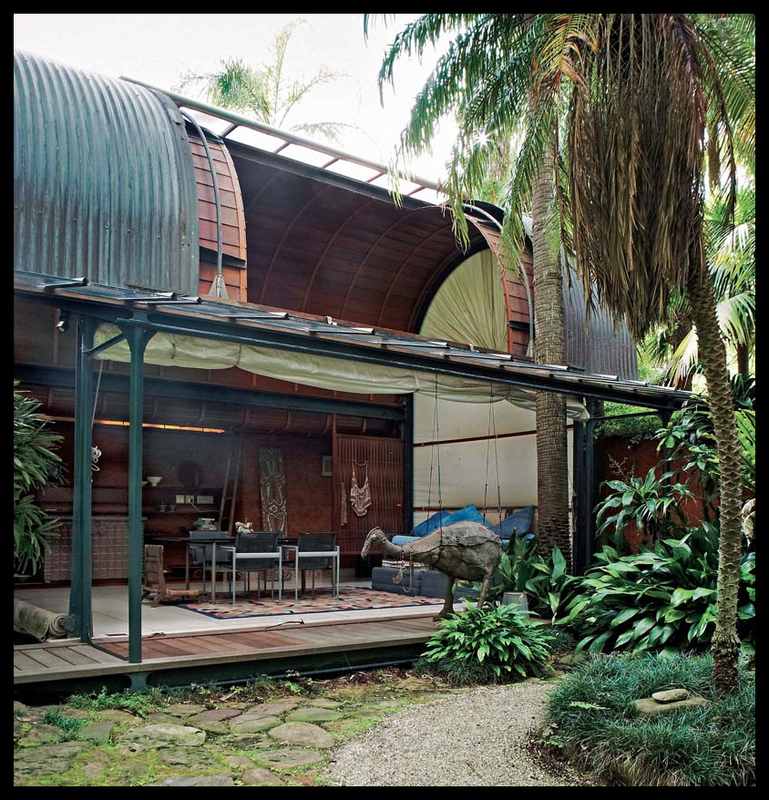 A small selection of his work can be viewed on the Architecture Foundation Australia website: hopefully this will lead the way in the near future to a much-needed monograph. The AFA is an organisation that, among other activities, runs annual Student Summer Schools on the Pittwater north of Sydney, a masterclass I was fortunate to attend in early 2008. Leplastrier, together with fellow architects, Peter Stutchbury, Lindsay Johnston and Glenn Murcutt, acted as guide, mentor and critic during an indelible week of collaborative design, drawing, thinking and making. Even in that setting, surrounded by architects of extraordinary integrity, Leplastrier stood out. 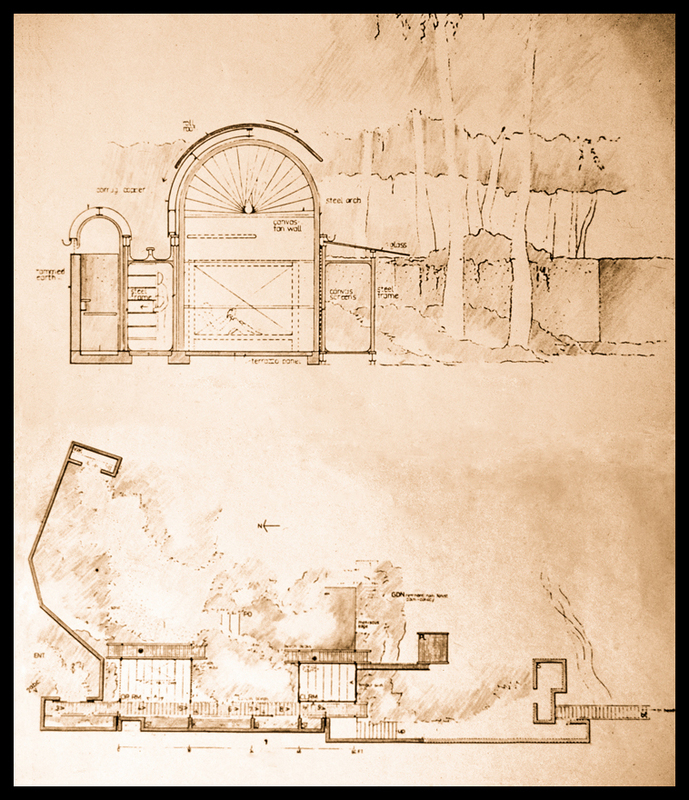 His approach to architecture is legendary: he camps for days or weeks on a site prior to commencing design work; his understanding of timber and its characteristics is unparalleled; he eschews fixed price contracts and the detailed documentation they require, working instead within cost plus frameworks and resolving most of his detailing on site; he does not work with ordinary builders, but master craftsmen; he is, and has been for forty-three years, a sole practitioner. 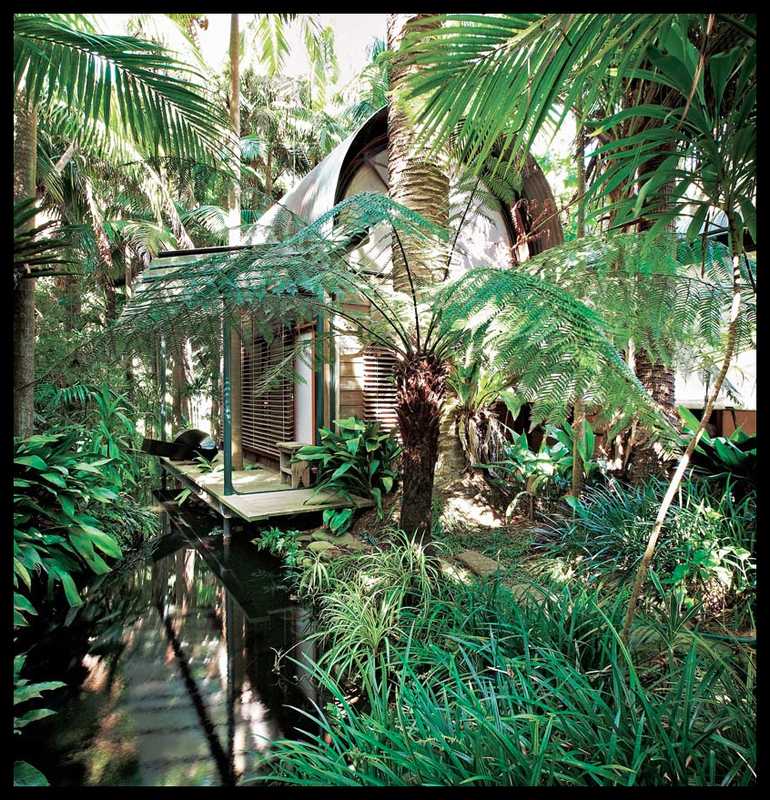 Leplastrier is as close to the architectural version of the Bush Tucker Man we have. Despite not having seen him for five years, Leplastrier recognised me when I greeted him prior to the Zeitgeist lecture, commenting that the audience (whose tickets were all purchased within a day of going on sale) comprised many of his past students. It came as no surprise that the devotion Leplastrier pays to his craft was returned with such enthusiasm. He is a wonderful man and a powerful reminder that architecture can offer something beyond building contracts, marketing and office systems: he is the embodiment of that oft-cited but rarely equalled claim of Frank Lloyd Wright, that architecture is the mother art, without which our civilisation has no soul. We’ll said. I was there and you’ve totally nailed it. What a wonderful article. Rick is a truly remarkable architect and it is a shame there is so little documentation of his work. I feel priveleged to have met him at the Masterclass. You are right – despite the company he keeps, he still stands out. Thank you for this. Will be following your blog closely. Thanks for your comments, Kiran, much appreciated.